After a long enough time of living in Hawaii I finally had the opportunity to go out and do some whale watching earlier this past week. Our tour booked for 8am out of Kihei on Maui. As some might know I’m not the best on boats so while I was excited at trying to capture some new subject matter the uneasyness of possibly being uncomfortable was there. Luckily for us the trades were more easterly than usual and Kihei waters were in the lee of Haleakala. This meaning that the ocean wasnt nearly as choppy as it could have been. We ventured out and started heading north all on the lookout for our sea friends. Eventaully we came back south as a few had been spotted and then…boom. Next thing we know we are being ‘mugged’. 4-6 whales are circling our boat. Diving underneath us…for an hour! Because these animals are highly protected the term ‘mugged’ means that we were unable to move until they were a safe distance. Normally I would have expected to be shooting at longer distances but this meant we had extended time RIGHT next to these huge animals. Luckily I brought my wide angle and was able to shoot at 24mm as they passed over and over again. Including some fun abstracts as the clear water let us see them below us. Truly an incredible experience. This particular image was taken as this whale passed JUST off the bow. I hurried to the front of the boat and as it passed did this awesome barrel roll. Haleakala being very clear in the background. Such a fun moment! Enjoy and more to come! 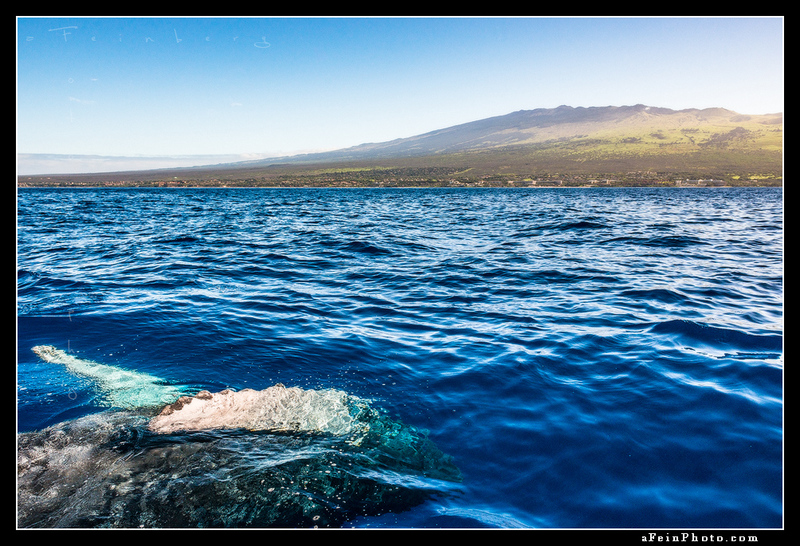 Posted in Image Discussion and tagged hawaii, humpback, kihei, maui, whale on December 29, 2016 by Aaron Feinberg.